If your current employer has offered you a promotion at another location, you’ve been offered a more lucrative or prestigious position with another company, or you want to be closer to a loved one with medical issues, you might be thinking about moving to another state. Relocating hundreds or thousands of miles away can have advantages in some cases, but you should consider issues unique to your situation. Does Moving Make Sense Financially? A new job might come with a better salary, but housing prices, taxes and other living expenses could also be higher in another state. The money you get from selling your current home might not be enough to buy a house that’s at least the same size and in a pleasant neighborhood. That means you might not see much, if any, improvement in your standard of living. If your spouse wants to work after the move, consider how long it might take him or her to find a job in the same field with a comparable or higher salary. In some industries, jobs are clustered in a few areas and harder to find in others. If you move for a job with a higher salary, but your partner struggles to find employment, think about how that could affect both your finances and your family relationships. You also need to consider the cost of the move. Relocating to a new state would require you to hire movers, rent a van, purchase moving supplies and arrange to transport vehicles and pets. Those costs could add up quickly. Ask your new employer if the company would pay for relocation expenses. If not, you might be able to deduct the costs when you file your tax return, but, in the meantime, you would need to pay out of pocket. Would Your Family Enjoy Living There? If you have children, or plan to in the future, research school systems in the state where you’re thinking of living. Look at test scores, student-to-teacher ratios and opportunities for children to participate in sports, music and artistic programs. You need to choose a city and neighborhood where your entire family would feel comfortable. Take a trip together to explore. Look for athletic fields, parks, hiking trails, movie theaters, restaurants, concert venues and other activities your family would enjoy. Try to find a neighborhood with some children the same age as your kids. Make sure the place has stores within a reasonable distance and that the commute is manageable. 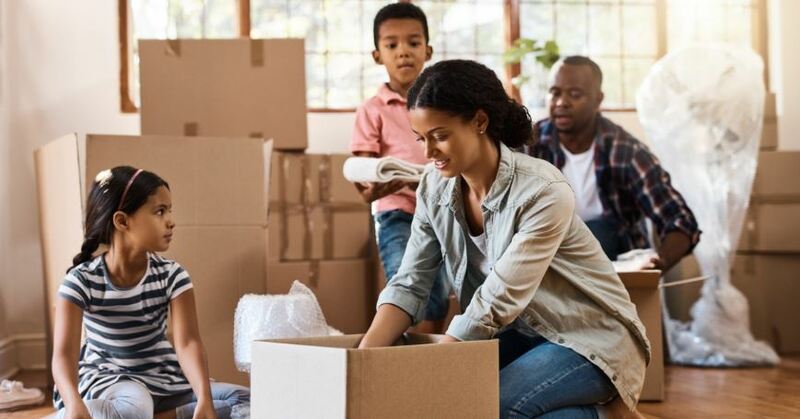 Is Moving the Right Decision for Your Family? Relocating to a new state is a major step that would mean huge changes for your entire family. If you’re thinking about moving, consider how it would affect your family’s finances, quality of life and relationships. Don’t make assumptions or just hope for the best. Gather as much specific information as possible so you can make an informed decision.